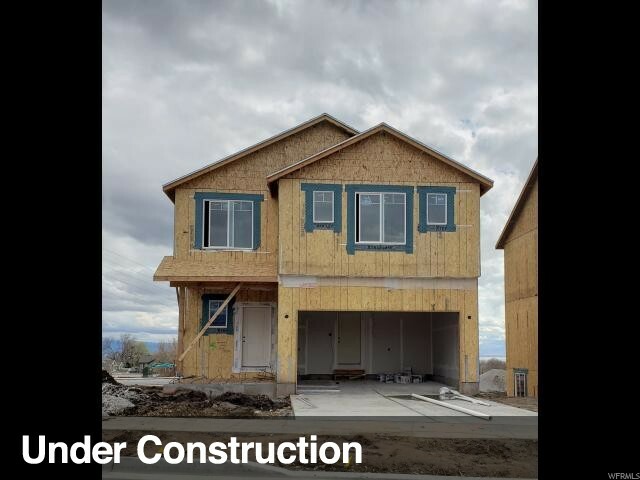 All MECHAM MEADOWS homes currently listed for sale in Layton as of 04/19/2019 are shown below. You can change the search criteria at any time by pressing the 'Change Search' button below. "**Grand opening of new East Layton community! Receive up to $5,000 in design options on this home! ** Our Topaz in a craftsman exterior is being built on this lot. This home features an open concept family/dining/kitchen area. Oversized island in the kitchen with quartz countertops, pendant lighting, and walk-in pantry. Built in mudroom off of the garage and half bath. Laminate flooring throughout main floor. Upstairs is an open loft along with four bedrooms including the master. Two full bathrooms and conveniently located laundry room on the second floor as well. The unfinished basement has room for two more bedrooms, full bath, and family room. Estimated completion date is mid July. This community will feature plenty of open common space, two playgrounds, and a walking/biking trail. Come by our community today to see all floorplans we offer! Ask about our preferred lender incentive! **Pictures are of another home in another community, colors/options/layout my differ. Buyer to verify all information." 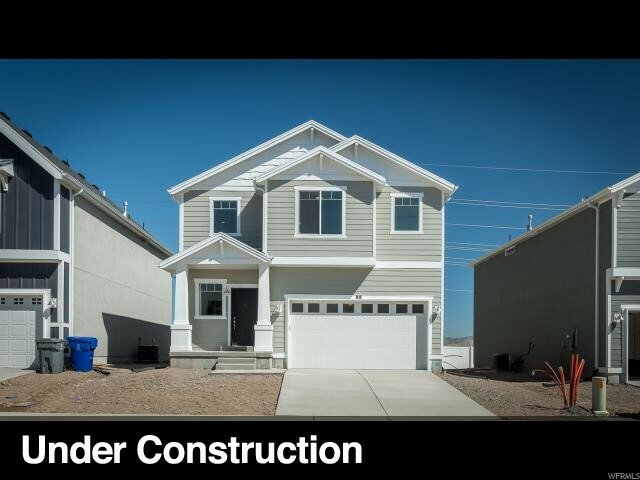 "**Brand new development in East Layton! Receive up to $5,000 in design options to this home! ** Our Endicott floorplan can be built on this lot. This home features and open concept kitchen/dining/family area. Oversized island, large pantry and built in mudroom off of garage entrance. Four bedrooms upstairs including a cozy loft area and an oversized master bedroom and bath. Community features plenty of open common space, two playgrounds, and a walking/biking trail. Ask about our preferred lender incentive. **Pictures are of another home in another community, colors/options/layout may differ. Price does not reflect additional upgrade options. Buyer to verify all information. " "**Now selling our highly anticipated East Layton Community, Mecham Meadows! We are currently offering a $5k design incentive for this home! 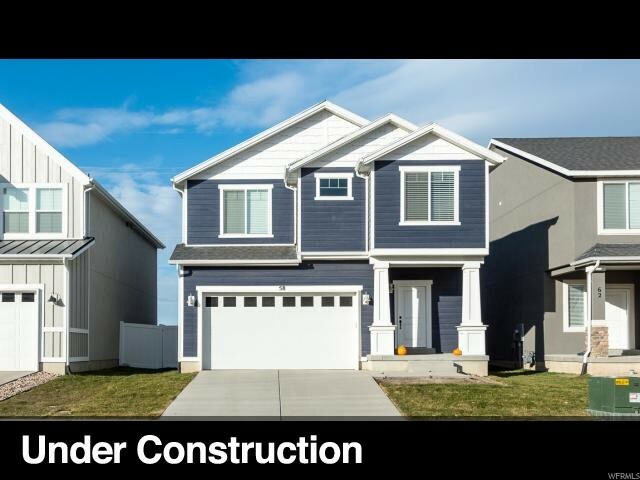 ** Built by the nation's number one builder, this gorgeous two story is nestled in our newest development in East Layton, Mecham Meadows! The Taylor is an incredible floorplan with 3 or 4 bedrooms, 2.5 bathrooms, and an open concept family/dining/kitchen area. Entertain and enjoy with 9ft ceilings throughout and a grand entryway. This home is to be finished in our farmhouse exterior and estimated completion date is in June, come in today and you can still choose upgrades/colors! Come by our community to see other floor plans and lots available! Mecham Meadows is in a highly desirable area of East Layton with close proximity to HAFB and Hwy 89. Ask about our Affiliated Lender Incentive. *Pictures are of another home in a different community. Actual home may differ in color/materials/options/layout. Taxes tbd. Buyer to verify all information. " 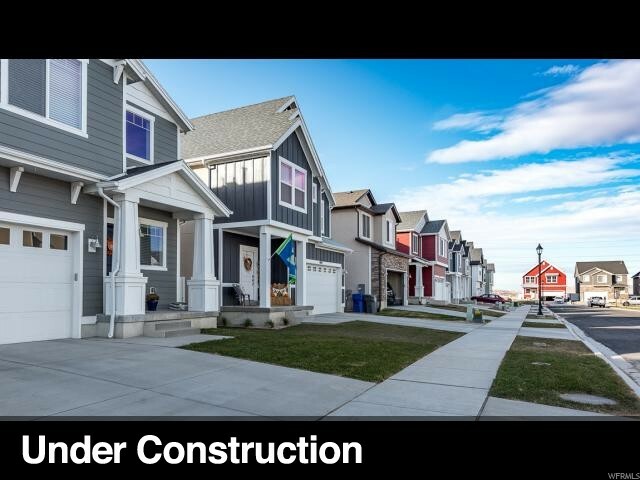 "*Brand new community in East Layton! * Our Charleston floorplan is being built on this South facing lot! This homes features a built-in mudroom off of the garage, then flows into an open concept kitchen/family/dining. The kitchen has a walk-in pantry, 3cm quartz countertops, gas appliances, and more. Hard surface flooring throughout main living area, three bedrooms, two full bathrooms, quartz countertops throughout bathrooms. The unfinished basement has room for two more bedrooms, large family room and game room! Estimated completion is end of August. Come in today and receive our grand opening incentive of $5,000 towards additional upgrades! Ask about our affiliated lender incentive. *Pictures are of a similar home in another community, color/options/layout may differ. Buyer to verify all information." "**Now selling our highly anticipated East Layton Community, Mecham Meadows! ** Call me today to receive up to $5,000 in upgrade options on this home! The Lincoln is an incredible floorplan with 3 bedrooms, 2 bathrooms, and an open concept family/dining/kitchen area. This home features beautiful stone gray cabinets, granite countertops in the kitchen and quartz in bathrooms. Upgraded hard surface flooring throughout main living areas, laundry and built in mudroom off of the garage entrance. 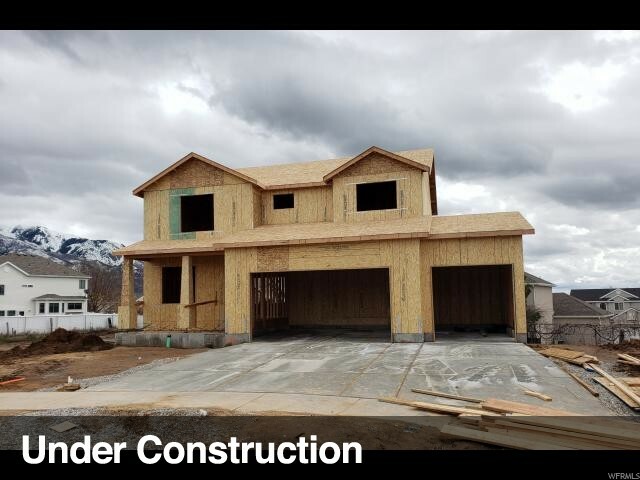 This home is to be finished in our craftsman exterior and is facing south! Estimated completion date is in July. Come by our community to see other floor plans and lots available! Mecham Meadows is in a highly desirable area of East Layton with close proximity to HAFB and Hwy 89. Ask about our Affiliated Lender Incentive. *Pictures are of another home in a different community. Actual home may differ in color/materials/options/layout. Buyer to verify all information. " "**Model Now Open!! ** This is one of the most desired lots! Corner lot across the street from community playground and biking trail! Clover floorplan with a craftsman exterior, this home offers 3 bedrooms, 2 full bathrooms, and a large loft upstairs. On the main floor is an open concept kitchen/dining/family room with a built in mudroom and half bath off of the garage. The unfinished basement is a walkout basement! It also features under the porch storage, room for one more bedroom, full bath, and family room. 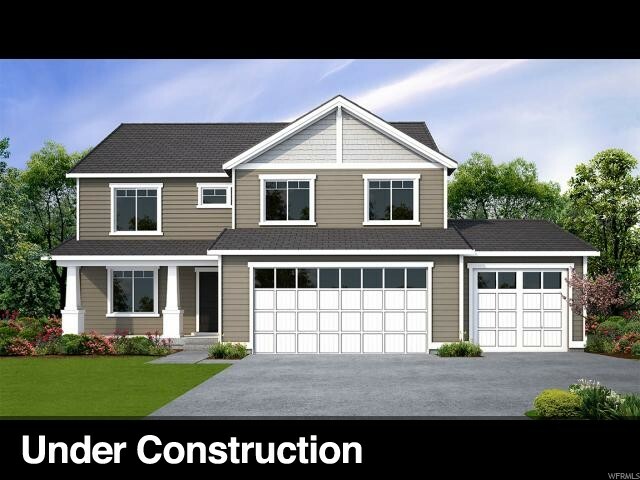 Home will be finished in a sage colored hardie board with white trim and a black entry door. This community will feature two playgrounds and a walking/biking path. With close proximity to HAFB and Hwy 89, these homes will sell fast, don't wait! Come in today to see all available floorplan and lots. We are currently offering a 5k design incentive for this home! Ask about our preferred lender incentive. *Pictures are of another home in another community, actual home may differ in color, layout, and upgrades. Buyer to verify all information. " "**Grand Opening of our East Layton community** Call me today to receive up to $5,000 in additional options to this home! Our Dogwood floorplan in a Craftsman exterior is being built on this lot. This home has an open concept kitchen/family/dining area. Kitchen has a large island and oversized pantry. Built in mudroom and half bath off of the garage. Upstairs is a large loft and three additional bedrooms including the master. Two full bathrooms and laundry room is located upstairs. Unfinished basement has room for another bedroom, bathroom, family room area, and is also a walkout. This community will feature plenty of open common space, two playground areas, and a walking/biking trail. Come by our community to see other floorplans available! Ask about our preferred lender incentive! *Pictures are of another home in another community, colors/options/layout may differ. Buyer to verify all information. " "**Now selling our highly anticipated East Layton community Mecham Meadows! ** Call me today to receive up to $5,000 in additional options on this home! The Birch floor plan with a craftsman exterior is being built on this lot. This home offers 3 bedrooms, 2 full bathrooms and an open loft upstairs, downstairs an open concept kitchen/dining/family room plus a half bath. The unfinished basement has room for another bedroom, family room, and full bath. Basement also has a walkout entrance. This community will feature two playground areas and a walking/biking path. With close proximity to HAFB and Hwy 89, these homes will sell fast, don't wait! Come in today to see all available floorplan and lots. Ask about our preferred lender incentive. *Pictures are of another home in another community, actual home may differ in color, layout, and upgrades. Buyer to verify all information. " "*Model Now Open! New East Layton Community! Do not miss our grand opening incentive, call/text me today! 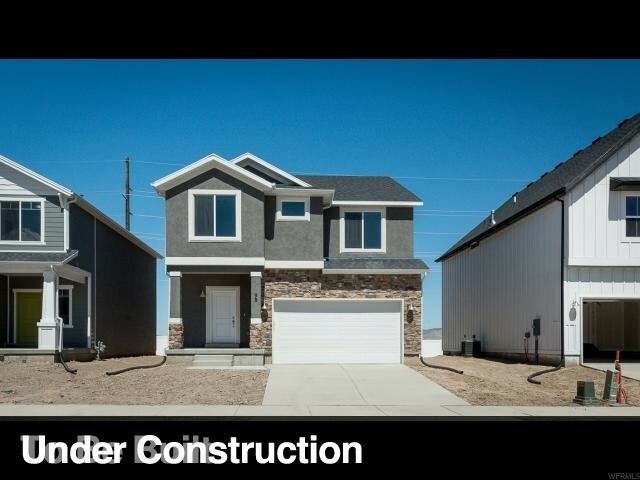 * Over 3,000 sq ft in this brand new construction home, three bedrooms, two and half bath with spacious loft. Loft can be converted into 4th bedroom as an upgrade. Built-in mudroom and open concept kitchen/dining/family. Unfinished basement has room for another bedroom, full bath, and family area. Walkout basement. The views from every window in this home are AMAZING! Our model is now OPEN! Call/text me for a tour. Ask about our affiliated lender incentive. *Exterior photos are of a similar home in another community. Interior photos are of our staged model. Buyer to verify all information. " "Call/text me today for our grand opening incentive! **Now selling our highly anticipated East Layton community Mecham Meadows! ** The Birch floor plan with a farmhouse exterior is being built on this lot. This home offers 3 bedrooms, 2 full bathrooms, and a cozy loft upstairs, downstairs is an open concept kitchen/dining/family room and half bathroom. The basement is unfinished, but has room for another bedroom, bathroom, and family area. Basement also includes a walkout feature! 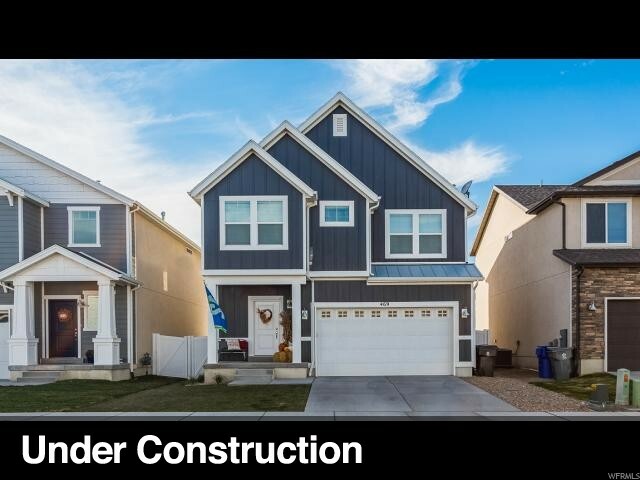 Home is estimated to be complete in July, and will be finished is a light gray color with white trim and blue entry door. This community will feature two tot lots and a walking/biking path. With close proximity to HAFB and Hwy 89, these homes will sell fast, don't wait! Come in today to see all available floorplan and lots. Ask about our preferred lender incentive. *Pictures are of another home in another community, actual home may differ in color, layout, and upgrades. Buyer to verify all information. " "**Model Now Open** Receive up to $5,000 in upgrade options on this home! The Birch floor plan with a traditional exterior is being built on this lot. This home offers 3 bedrooms, 2 full bathrooms, and a large loft upstairs. On the main floor is an open concept kitchen/dining/family room. The unfinished basement is a walkout basement! It also features under the porch storage, room for one more bedroom, full bath, and family room. This community will feature two playgrounds and a walking/biking path. 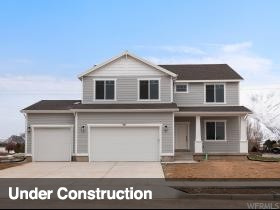 With close proximity to HAFB and Hwy 89, these homes will sell fast, don't wait! Come in today to see all available floorplan and lots. Ask about our preferred lender incentive. Ask about our preferred lender incentive! *Pictures are of another home in another community, actual home may differ in color, layout, and upgrades. Buyer to verify all information. "